The first step in receiving treatment is an exam. The doctor takes a close look at your smile for indicators that something is wrong. As part of this process the patient may need diagnostic imaging. What is diagnostic imaging? Using advanced technology the doctor can obtain a clear and precise view of your oral health. When Do I Need Diagnostic Imaging? If you experience one or more of these symptoms then you need to see a periodontist. There, we will use diagnostic imaging to assess your oral heath and recommend appropriate treatment options. 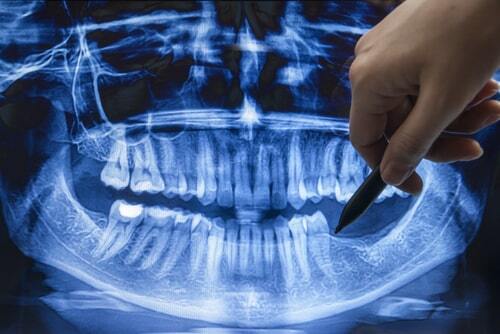 To create a detailed look at your smile we will use digital x-rays. This technology uses up to 80% less radiation than traditional x-rays. In addition, the system doesn’t need harsh chemicals and long lengths of time to develop the images. Instead, the doctor can take almost instantaneous images, showing the patient chairside a clear image of their smile and allowing the doctor to make an accurate and precise diagnosis. After the doctor completes the imaging and makes a diagnosis, what next? First, the doctor will explain the problems and outline possible solutions. The doctor will answer any questions you have or address any concerns. We have non-surgical periodontal therapy for minor cases of gum disease and we can also use laser dentistry or perform pinhole gum graft procedures to address more serious cases and improve your oral health. If you have any questions or would like to schedule a consultation please contact our office today.